While everyone's life journey is different, many reach a point where they require extra help with their daily activities. The goal at Abbington Assisted Living is to empower residents to live independently while receiving the proper senior care they need, including medical, dietary, and social support to stay physically and mentally healthy. 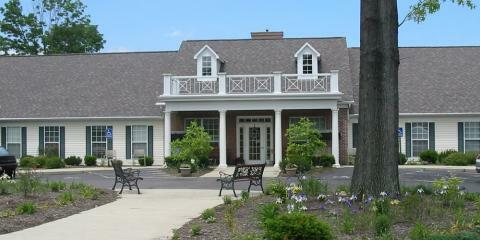 Operating under the Abbington Assisted Living Community umbrella, they are proud to be the first assisted living facility in Chillicothe, OH. At this facility, they truly value the independence of their residents and pride themselves on offering elderly care that focuses on the patient's comfort and well-being. The staff is available 24/7 and provides assistance whenever it is needed. Respecting the privacy and dignity of you or your loved one is of extreme importance, which is why they offer 40 private rooms. The facility includes large neighborhood parlors, as well as activity and community rooms where residents can mingle with others and build lasting relationships. If you are the owner of Abbington of Arlington and would like to make changes to your business listing information, click here.